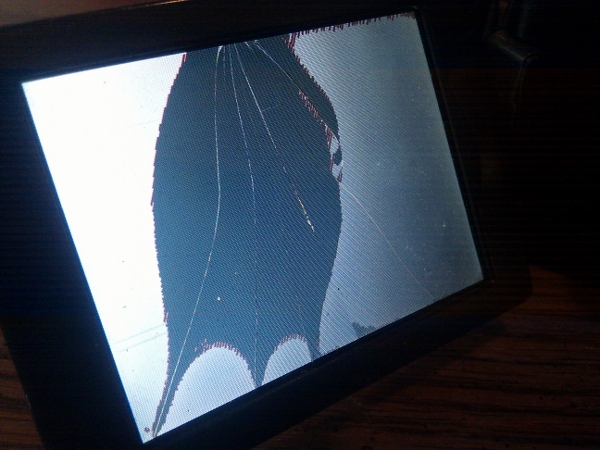 Somehow the screen on my digital camera got busted. Since the ill-fated, and mysterious demise of the back display, I’ve been limited to using the viewfinder. Last week, I finally got fed up with not being able to take a picture without my eye jammed into the cup. Since I use my left eye to compose, and just about every camera on the planet is designed for right-eyed people, it has never been convenient to look through a viewfinder anyway. Add eyeglasses to the mix and external screens definitely work better. The camera is a bit old, and doesn’t have the highest resolution by today’s standards, but it’s still pretty decent, even with the external screen out of business. While I’m shopping for another digital camera, it’ll be handy to have this one working properly as a backup shooter. I ordered the part on Amazon, and it arrived in the mail a few days later. There were no instructions, and not much to be found online either. Mostly, it was a tightly organized manufactured 3D puzzle. I got it apart okay, but was happy to have taken pictures of the teardown when it came to reassembly. It took a few hours to do, while catching up on The Ben Heck Show on Roku. It got a bit frustrating putting it back together, as the parts were very thin, tiny and unforgiving of incorrect reassembly. Having a few photos of the teardown definitely helped. For less than fifty bucks, and a bit of time, I can finally use the external screen again.